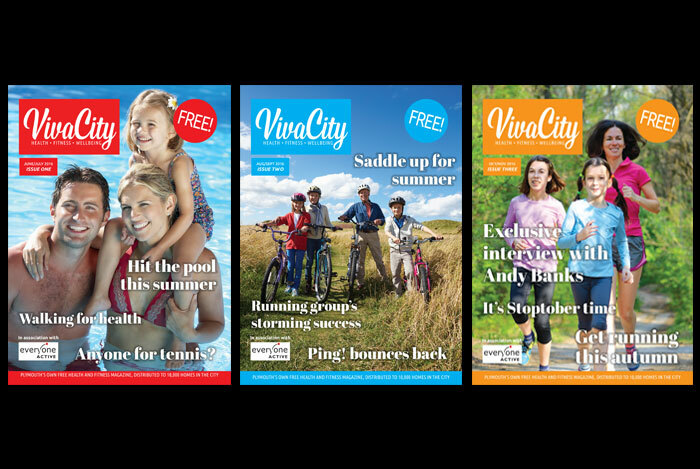 VivaCity is a free locally sourced and produced health, fitness and lifestyle magazine founded and created by Vivid Collective. Distributed through Plymouth Life Centre, Livewell South West locations, GP surgeries as well as door to door distribution, VivaCity reaches many parts of the city to promote a message of health and happiness! Inspired by Plymouth City Council health awareness programmes such as Thrive Plymouth and sponsored by Everyone Active, VivaCity aims to help people make small steps towards a healthier, happier future. Content includes input by health experts, listings of events, in depth articles, recipes, workouts and more, packaged within strong and accessible layout design and branding.